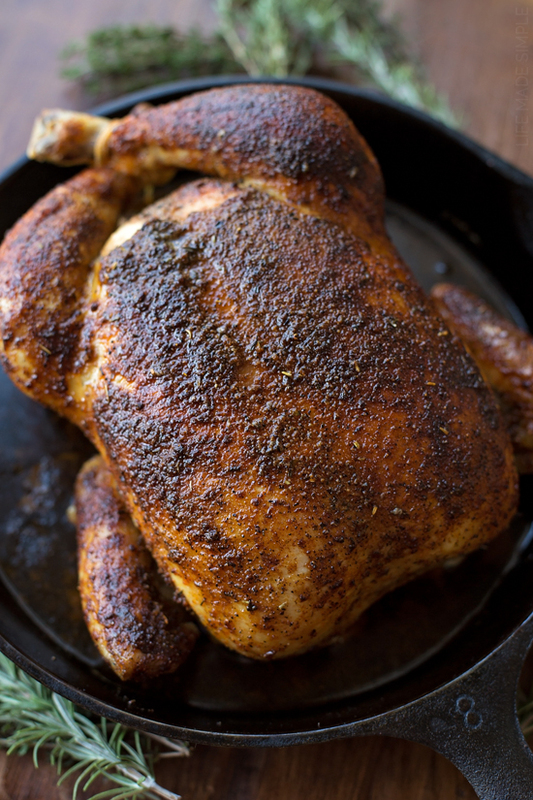 Friends, I give you the easiest, most flavorful and tender oven roasted chicken ever. Seriously! 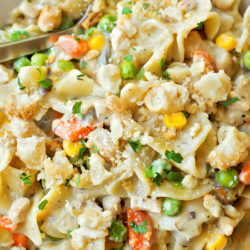 This recipe is one I’ve made over and over again, and I don’t plan on stopping. It only requires a few ingredients and a few minutes to prepare! A few years back we decided to do a roasted chicken for Thanksgiving instead of turkey, since then we’ve never looked back. At first I did the whole 400 degree deal, but it left my kitchen in a cloud of smoke, which is not ideal when you’re entertaining. I’ve experimented a lot and have finally come up with a roasting method and rub that is absolutely perfect! Soo… you’ll need a chicken (about 4-5 lbs), a roasting pan, skillet or baking dish (really anything that the chicken will fit into), a half tablespoon of melted butter, and a blend of seasonings and spices: paprika (I part regular and smoked), black pepper, cayenne pepper, onion powder, garlic powder, salt and Herbes de Provence . P.S. you can half the recipe and use a smaller chicken, but the leftovers can be used in so many ways, you might as well do a bigger one! Anyway, truss your chicken if it’s not already, then rub the skin with the butter. Mix together the rub and pat it on the skin. I like to put a little under the skin too, mainly on the breasts. Place the chicken the oven (along with an oven-safe boil of hot water) and bake it for 3-4 hours (depending on the size of your chicken) at 250 degrees <- yep. During that time baste the chicken twice. This low & slow method gives you juicy fall-off-the-bone meat. Mmmm. Also I should mention that I totally could have/should have tented my chicken during the final hour, but I was playing outside with the kids and didn’t get around to it. It was by no means burnt, but the seasoning got a little dark. As soon as the chicken reaches an internal temperature of 160 degrees, pull it out and let it rest for 10 minutes before carving it. 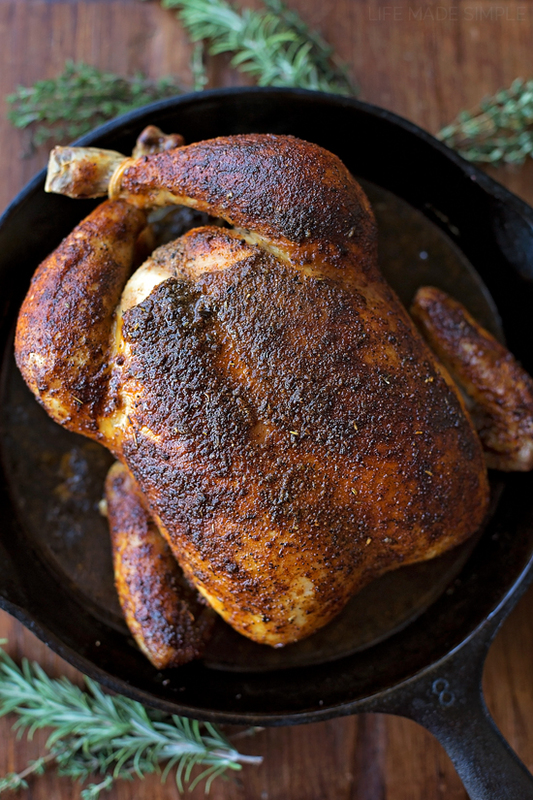 Our family is in love with this chicken, it’s super easy to make and tastes just like a rotisserie chicken you’d get at the store. Our toddler devours every piece he’s given and so do we! It goes great with just about anything and the leftovers can be used in soup, salads or in main dishes… hello lunch & dinner for the rest of the week! If you have a crockpot and want to do it in there, please see my notes below 🙂 Enjoy!! Make your own oven roasted rotisserie chicken with just a few simple ingredients! It's fall-off-the-bone tender and oh so flavorful!!! Preheat oven to 250 degrees, place rack in the lower-middle position. Heat 2 cups of water in the microwave for 3 minutes. Place in the corner of the oven. 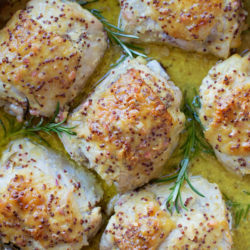 Place the trussed chicken into a skillet, baking dish or roasting pan, make sure there's enough room around the chicken so that nothing drips out, and that it is deep enough to catch the juices. Rub the melted butter on the skin. In a small mixing bowl combine the seasonings and spices, then rub on the buttered skin. You can gently lift up on the skin around the breasts and rub some seasoning under there too. Place in the oven and bake for 3-4 hours (depending on the size of the chicken), basting twice during that time. Remove when a thermometer inserted into the thigh reaches 160 degrees. Allow to rest for 10 minutes before transferring to a cutting board and carving. 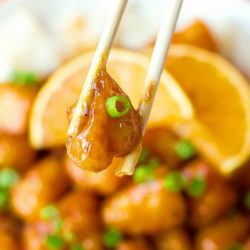 -For a slow cooker: cover and cook on low for 6-8 hours, or on high for 4-5 hours. DISCLOSURE: THIS POST CONTAINS AMAZON AFFILIATE LINKS. I ONLY RECOMMEND PRODUCTS I OWN, USE AND LOVE. ANY REVENUE MADE FROM SALES THROUGH THESE LINKS HELPS TO SUPPORT LIFE MADE SIMPLE. THANK YOU! Looks sooooo good!! Where did you get that 1/2TBL measuring spoon? I’ve been looking everywhere!! Just made this tonight. Just wonderful…looks store-bought but So much better! If you put it in the crock pot, do you add any liquid? When you put the water in the oven is it in the roasting pan with the chicken or in a separate container? 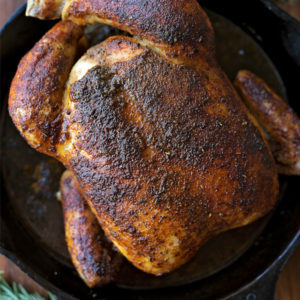 Tried this and it was the best oven roasted chicken I’ve ever had. Thanks for the new go-to recipe! It helps add moisture in the oven so that it doesn’t dry out as it cooks. I am baking this chicken now, and I do not have any juice to baste it with. I have added a little water – is this OK? How do you truss a chicken? 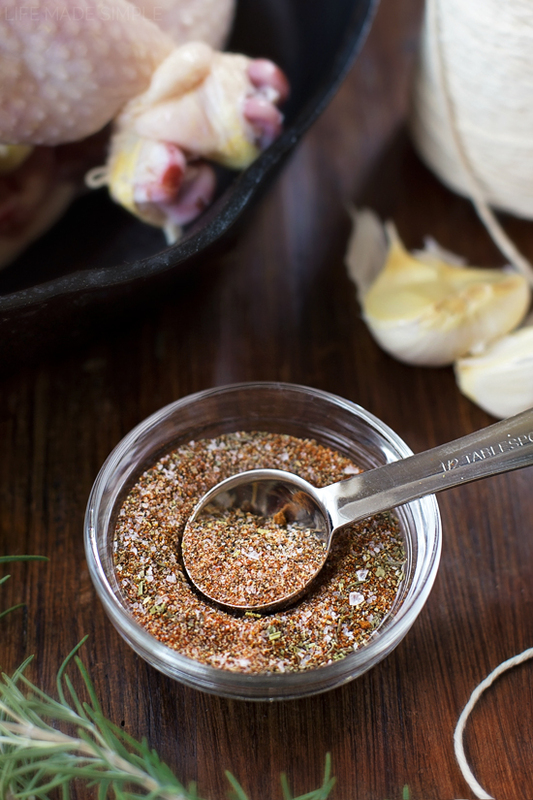 How important is the Herbes de Provence? I have everything else on hand and buying a fairly expensive seasoning blend for a single use is not in my budget. I’m making it tomorrow, so if you would email me, that would be wonderful. Thanks for a great looking recipe. You could swap it out for Italian seasoning!